On June 21, 2011, Professor Ekmeleddin Ihsanoglu, the Secretary General of the Organization of the Islamic Conference (OIC), lectured about the importance of science and technology for Muslim nations at the American University in Sharjah University, UAE. We present hereafter a short report on this lecture and highlight some of its salient points related to the Islamic scientific tradition and the need for the renaissance of science and technology in the Muslim world. 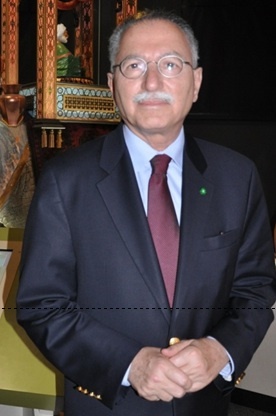 On June 21, 2011 Professor Ekmeleddin Ihsanoglu, the Secretary General of the Organization of the Islamic Conference (OIC), spoke about the importance of science and technology for Muslim nations at the American University in Sharjah, UAE. In his talk, Professor Ekmeleddin Ihsanoglu encouraged the positive developments in science and technology and higher education and emphasised their importance for OIC member states, which are becoming a community that values knowledge and is competent in utilizing and advancing science and technology to enhance socio-economic wellbeing of the Muslim world. It is worth noting that Professor Ekmeleddin Ihsanoglu is one of the founding members of the Foundation for Science, Technology and Civilisation (FSTC), UK. For more information, visit FSTC's corporate website: www.FSTC.org.uk. His Excellency Professor Ihsanoglu, Secretary General of the Organisation of the Islamic Conference (OIC), called on Islamic countries to reform the higher education sector and increase their focus on science and technology, at the opening ceremony of the Middle East's first Belief in Dialogue: Science, Culture and Modernity conference, organised by the British Council in conjunction with American University of Sharjah (AUS) and held under the patronage of HH Sheikh Dr. Sultan Bin Mohammad Al Qassimi, Supreme Council Member, Ruler of Sharjah and Founder and President of AUS. Professor Ihsanoglu urged member-states of the OIC–an inter-governmental organization comprising 57 states– to commit to becoming a community that values knowledge and is competent in advancing science and technology to enhance the socio-economic well-being of the Muslim world. In his lecture at AUS, Professor Ihsanoglu gave an account of Muslims' meritorious contributions to scientific and technological achievements and their quest for advancement, with particular reference to the Ottoman contributions from the 14th until the 20th century, without neglecting their relationship with the advancements made by the Europeans. He noted that Muslim scholars developed new disciplines, enriched and enlightened Europe, Asia and Africa in various fields of scientific and intellectual pursuits, including mathematics, astronomy, optics, medicine, chemistry, philosophy, theology, law and diplomacy. They added to existing knowledge, corrected many concepts and injected them with many innovative contributions such as developing a genuine scientific approach and experimental methodology. Professor Ihsanoglu stressed that the Ottomans, who went through two different stages in acquiring new sciences, which and enriched it and brought a new dynamism to cultural and scientific life in the Islamic world. He underlined that with the advent of the 21st century, the importance of scientific enterprise became more prominent and the need for excellence in research is felt in more advanced Muslim countries. Professor Ekmeleddin Ihsanoglu, Statement of HE Professor Ekmeleddin Ihsanoglu in the Opening Session [Proceedings of the conference 1001 Inventions: Muslim Heritage in Our World organised by FSTC, London, 25-26 May 2010]. Professor Ekmeleddin Ihsanoglu, Credo of an Eminent Scholar: Professor Ekmeleddin Ihsanoglu's Lecture in Padua. Professor Ekmeleddin Ihsanoglu, Scientific Life during the Period of the Anatolian Seljuks. Professor Ekmeleddin Ihsanoglu, An Overview of Ottoman Scientific Activities.